Around 27% of the patients with liver cirrhosis will develop Hepatocellular Carcinoma (HCC) within 5 years of follow-up. 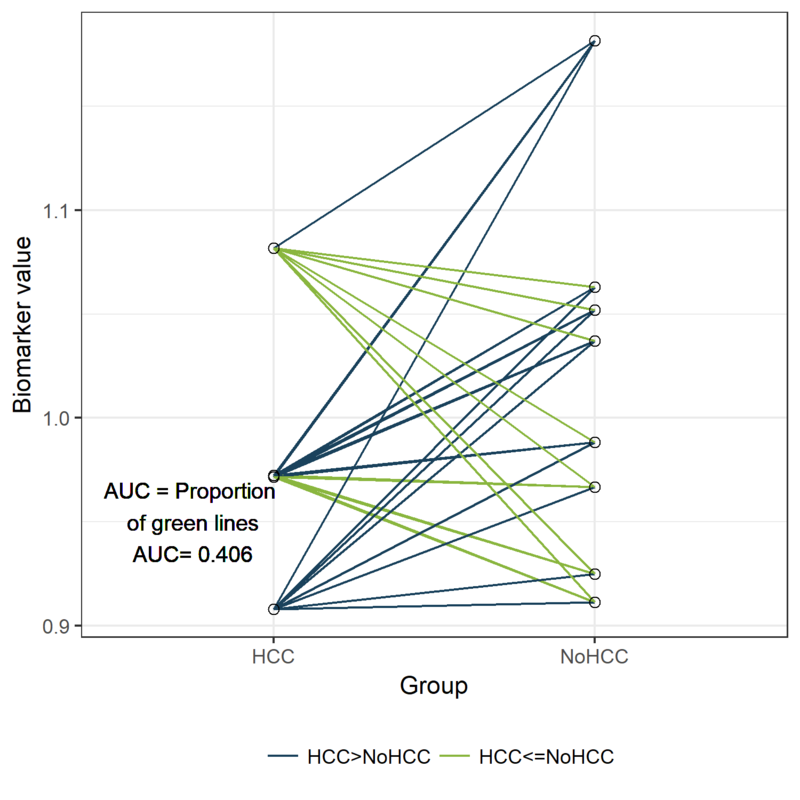 With our biomarker “peakA” we would like to predict which patients will develop HCC, and which won’t. 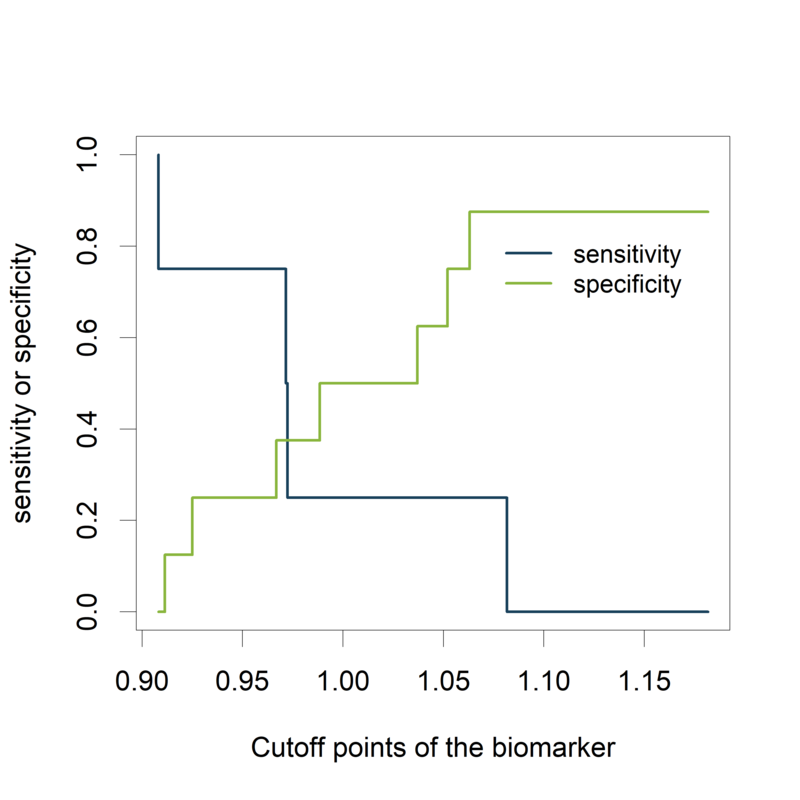 We will assess the diagnostic accuracy of biomarker “peakA” using the AUC. Now let’s verify that the AUC is indeed equal to 0.875 in the classical way, by plotting a ROC curve and calculating the estimated AUC using the ROCR package. 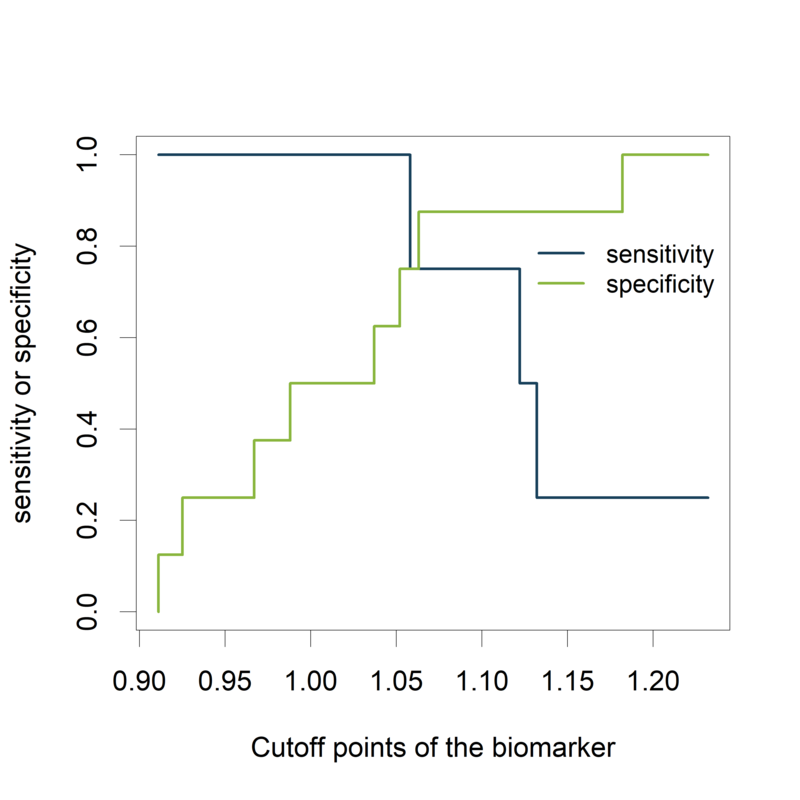 Now, let’s have a look how our plots look like if our biomarker is not informative at all. Often, a combination of new markers is selected from a large set. This can result in overoptimistic expectations of the marker’s performance. 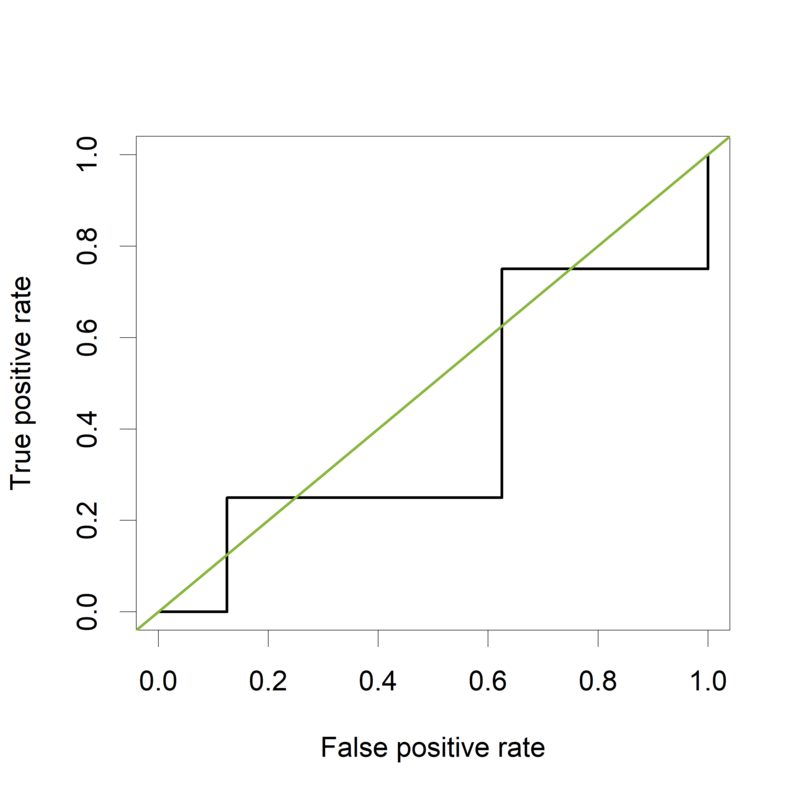 Any performance measure should be estimated with correction for optimism, for example by applying cross-validation or bootstrap resampling. 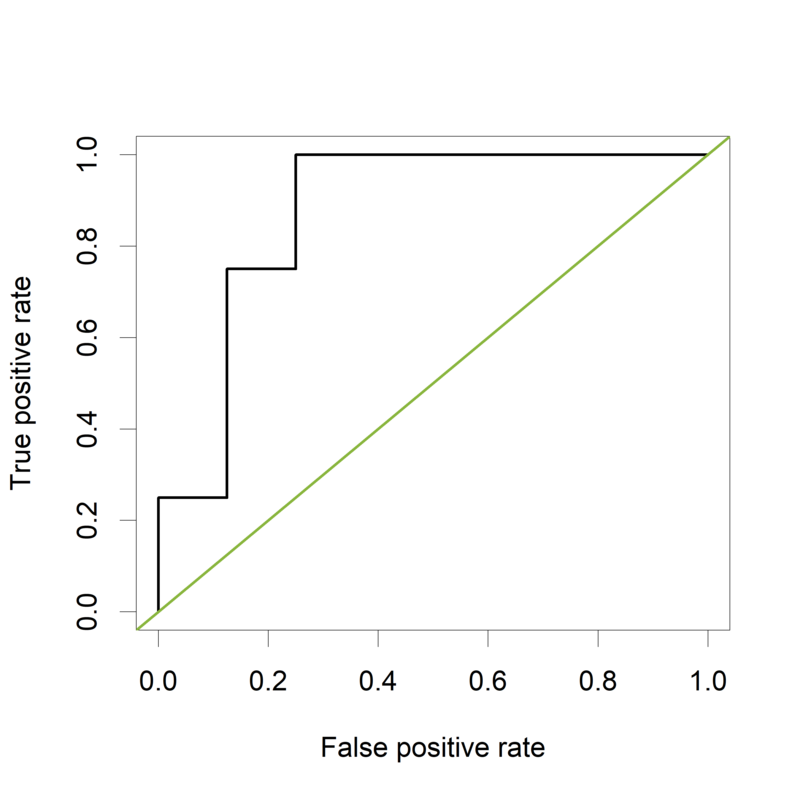 However, validation in fully independent, external data is the best way to validate a new marker. When we want to assess the incremental value of a additional marker (e.g. 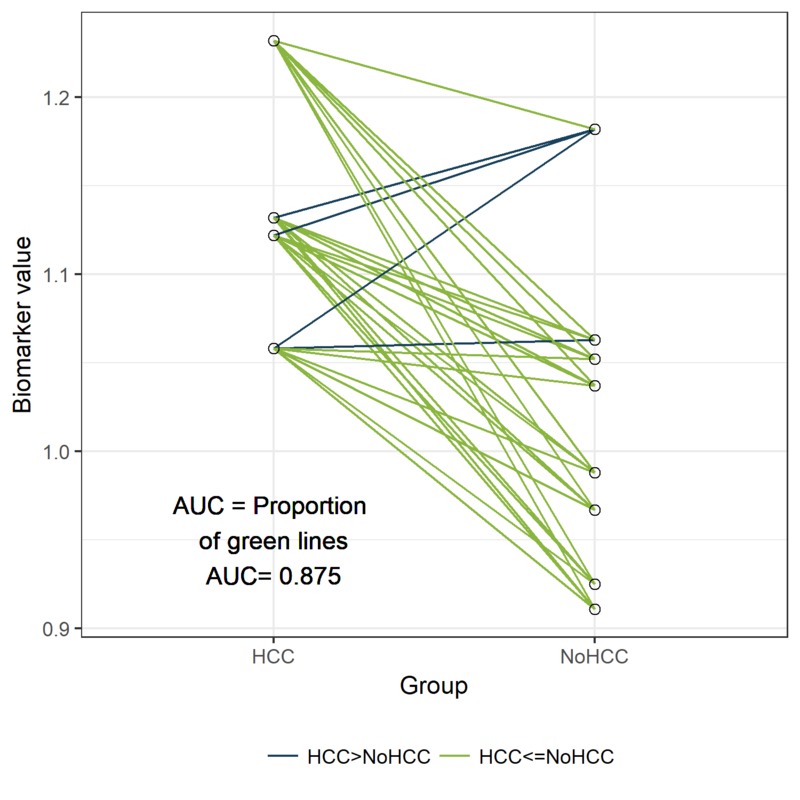 molecular, genetic, imaging) to an existing model, the increase of the AUC can be reported.